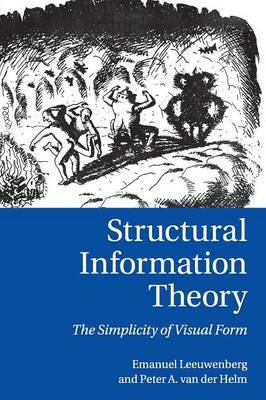 Structural information theory is a coherent theory about the way the human visual system organises a raw visual stimulus into objects and object parts. To humans, a visual stimulus usually has one clear interpretation even though, in theory, any stimulus can be interpreted in numerous ways. To explain this, the theory focuses on the nature of perceptual interpretations rather than on underlying process mechanisms and adopts the simplicity principle which promotes efficiency of internal resources rather than the likelihood principle which promotes veridicality in the external world. This theoretically underpinned starting point gives rise to quantitative models and verifiable predictions for many visual phenomena, including amodal completion, subjective contours, transparency, brightness contrast, brightness assimilation and neon illusions. It also explains phenomena such as induced temporal order, temporal context effects and hierarchical dominance effects, and extends to evaluative pattern qualities such as distinctiveness, interestingness and beauty.